Threaded locking sleeve with ferrule lined closed eye to retain the fixed line. 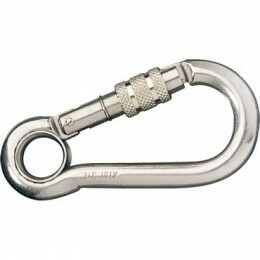 Rope size 15mm. SKU: RF650. Categories: Stainless Steel Rigging, Carbine Hooks.